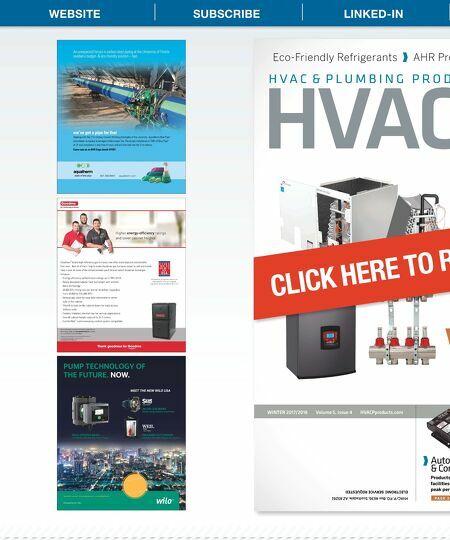 P A G E 2 8 IAQ Keeping building air clean and occupants healthy with these new products. tomation ontrols oducts keeping operating at performance. P A G E 2 3 1 P A G E 1 2 'Hot' products leading the charge, delivering heat Plumbing Tools The latest plumbing tools, gadgets and more to get the job done right. 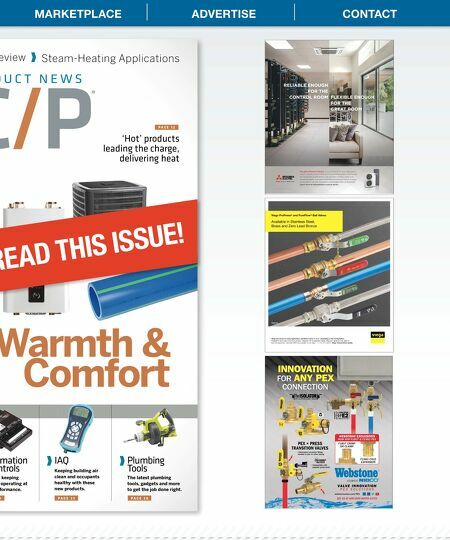 Warmth & Comfort review Steam-Heating Applications D U C T N E W S Viega ProPress ® and PureFlow ® Ball Valves Available in Stainless Steel, Brass and Zero Lead Bronze Viega ball valves for every application, available in sizes ⅜" to 2", depending on the configuration. Available in Zero Lead silicon-bronze alloy. Designed with double-stem seals, Viega ball valves provide years of leak-free operations. Valves for PEX now available in new sizes – 1", 1¼", 1½" and 2". Viega. Connected in quality. viega.us VA LV E I N N OVAT I ON P E X S O L U T I O N S webstonevalves.com/PEX INNOVATION FOR ANY PEX CONNECTION WEBSTONE EXCLUSIVES NOW FOR F1807 & F1960 PEX F1807 CRIMP OR CLAMP F1960 COLD EXPANSION PEX × PRESS TRANSITION VALVES • Eliminates transition fi tting needed to join to other piping MULTI-FUNCTION • Compatible with popular press tools SEE US AT AHR EXPO BOOTH #4753 MARKETPLACE ADVERTISE CONTACT READ THIS ISSUE!